In Beijing Time July 29th, the US private high school short-term study abroad experience in 2015 for Sino-US program of Beijing No.80 High School came to a successful end. 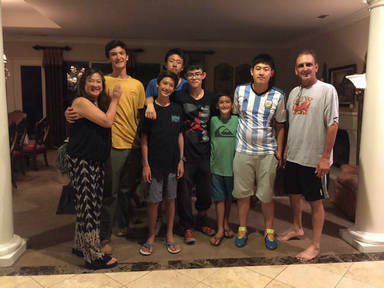 The students participated in the summer camp spent one week doing a first-hand experience of US school life in a great private high school (Bethel Christian School) and home life in local families in Los Angeles. Students had been to six cities from west to east of United States, including Boston, New York, Washington D. C., Philadelphia, Los Angeles, and San Diego. They traveled to nine top world universities, Harvard, Yale, MIT, Princeton, Boston, Columbia, Southern California universities, Pomona college of liberal arts, and University of California Los Angeles. Besides, some places of interest, for instance, the metropolitan museum of art, Disneyland, the US navy harbor, were also arranged in the journey. During the fifteen-day tour, students always complied with local laws and regulations, respected local customs and cultures, and obeyed to teachers' arrangements. They were united, orderly, helpful, optimistic, strict to themselves, but more tolerant to others. Along with the traveling, students actively explored, gathered information, and communicated with others about the differences between Chinese and American customs and cultures. When living with the local families, they have forged profound friendship with the host families. Through the study in US classroom, they experience differences between Chinese and American education. Students gained a lot from the short-term tour, and such an experience prompted them to review the direction of study and life. They found that only when you understand the real meaning of liberty in USA, you can enjoy your life and study there. 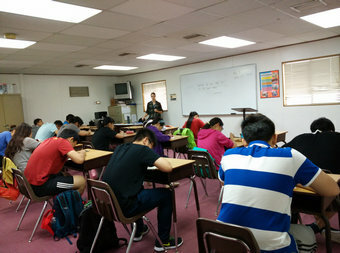 The United State Summer camp cultivates the fundamental qualities of students as international talents in future, broaden their vision, enhanced their consciousness of innovation and intercultural communication skills, and foster their independent international activity ability and healthy psychological quality, so that they can reserve the nation pride and a sense of pride of the Chinese nation under the impact of cultural diversity in the United States. These will also keep them outstanding in the drastic competitions.